Health officials in Washington became alarmed last week when an outbreak of 134 cases of salmonella poisoning struck 10 counties and saw 15 people hospitalized. The largest number of cases was seen in King County, with 84 cases. Snohomish County saw the second most with 24 cases; 12 cases were reported in Pierce County; five in Yakima County; two in Clark, Mason, and Thurston counties; and one in Cowlitz, Grays Harbor, and Kitsap counties. Investigators believe the salmonella exposure came from whole roasted pigs that were served at a combination of private events and restaurants, but they urge caution, as there may be other sources. The Department of Agriculture, Food Safety and Inspection Service has issued a public health alert regarding whole pigs and pig roasts. Some of the pork in question was traced to a slaughterhouse in Graham, run by Kapowsin Meats. Samples were taken and tested positive for Salmonella stereotype I 4,,12:i:-, a previously unknown strain in the region. So far, Kapowsin Meats has been cooperating with investigators. 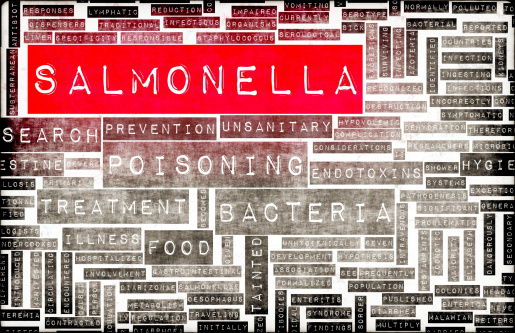 Salmonella is a common form of food poisoning that causes symptoms such as nausea, diarrhea, and vomiting. Most people recover after a few days but in some cases, the infection can be serious enough to warrant hospitalization. In rare cases, salmonella can be fatal. The infection is commonly spread by a lack of good hygiene and food safety practices. People can avoid contracting salmonella by washing their hands with hot, soapy water before and after handling raw meat, washing cutting boards and kitchen surfaces when preparing meat, using separate surfaces for meat and vegetables, and cooking pork to a temperature of 145 degrees Fahrenheit. Aleccia, J., “Pierce County Slaughterhouse Tied to Pork Salmonella Outbreak,” Seattle Times web site, August 12, 2015; http://www.seattletimes.com/seattle-news/health/pierce-county-slaughterhouse-tied-to-pork-salmonella-outbreak/.